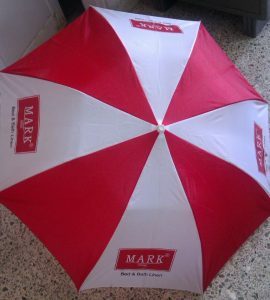 The term Customised Promotional Umbrellas is something that one is eager to know of. Till date many companies have come up with Customised Promotional Pens, Customised Promotional pen drives, Customised Promotional bags, Customised Promotional diaries, and many more. Yes, we did not invent the Customised Promotional Umbrellas nut we gave them a modification. Now a day many manufacturers import the raw material from China and assemble the umbrella at the manufacturing units. We started with the manufacturing of few of the raw materials in India. Even though it turned out to be slight expensive, but there were few reasons to do this, out of which the first was to promote Indian industry and generate employment. One can’t assure the quality of goods during import, but here because the raw materials are customised, it is always in front of our eye with consistent quality check. Customised Promotional also means to meet the requirement of client in each and every manner and to understand what one is looking for in terms of fabric, rib, structure, handle, printing and many more. 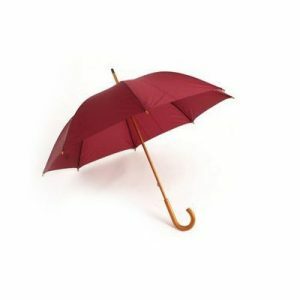 There are more than 7 different places where a client can imprint their company name or logo on an umbrella. 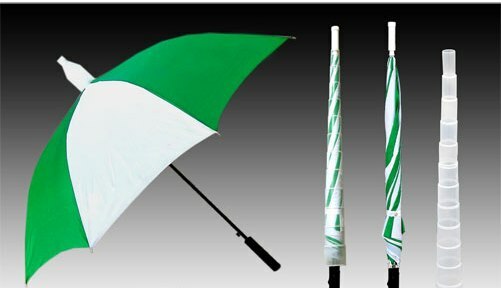 Now because of continuous efforts we are specialised into manufacturing of Customised Promotional Umbrella, Customised Promotional Digital Printed Umbrella, Customised Promotional Screen Printed Umbrella, Customised Promotional Advertising Umbrella, Customised Promotional Two Fold Umbrella, Customised Promotional Compact Umbrella, Customised Promotional Mini Umbrella, Customised Promotional Wooden Umbrella, Customised Promotional Square Umbrella, Customised Business Promotion Umbrella, Customised Promotional Political Campaigning Umbrella, Customised Promotional Golf Umbrella, Customised Promotional Men’s Umbrella, Customised Promotional Gents Umbrella, Customised Promotional Black Umbrella, Customised Promotional Silver Coated Umbrella, Customised Promotional Ladies Umbrella, Customised Promotional Fashion Umbrella, Customised Promotional Designer Umbrella Manufacturer, Customised Promotional Cheap Umbrella, Customised Promotional Plastic Cap Umbrella, Customised Promotional Pharmaceutical Umbrella, Customised Promotional Anti Drip Umbrella, Customised Promotional Golf Umbrella, Customised Promotional Garden Umbrella, Customised Promotional Beach Umbrella, Customised Promotional Outdoor Advertising Umbrella, Customised Promotional Large Umbrella, Customized Garden Umbrella, Customised Promotional Radio Mirchi Umbrella, Customised Promotional 98.3 FM Umbrella, Customised Promotional Digital Printed Garden Umbrella, Customised Promotional Digital Printed Beach Umbrella. 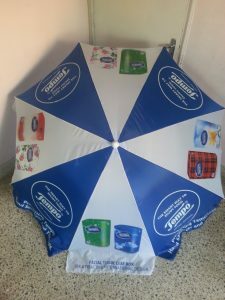 The term Customised Promotional Umbrella is something that one is eager to know of. Till date many companies have come up with Customised Promotional Pens, Customised Promotional pen drives, Customised Promotional bags, Customised Promotional diaries, and many more. Yes, we did not invent the Customised Promotional Umbrellas but we gave them a modification. Now a day many manufacturers import the raw material from China and assemble the umbrella at the manufacturing units. We started with the manufacturing of few of the raw materials in India. Even though it turned out to be slight expensive, but there were few reasons to do this, out of which the first was to promote Indian industry and generate employment. One can’t assure the quality of goods during import, but here because the raw materials are customised, it is always in front of our eye with consistent quality check.